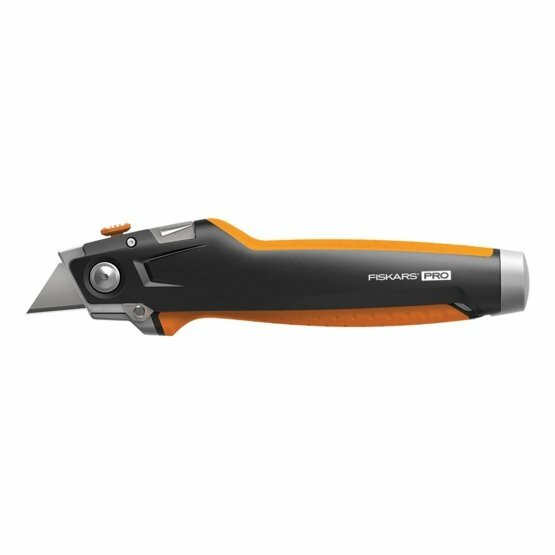 The Fiskars CarbonMax Drywaller's Knife is the one tool that has the two most common hand tools used by drywallers': utility knife and jab saw for blazing through drywall. Both blades are on the same end of the tool and lock into place for additional safety. The knife's full metal construction is designed and built to withstand heavy use from the job site, and the reinforced metal end is ideal for knocking out drywall cuts. It offers 3pcs blades internal storage capacity. Includes 1pc CarbonMax utility blade that lasts 24X longer than standard utility blades.